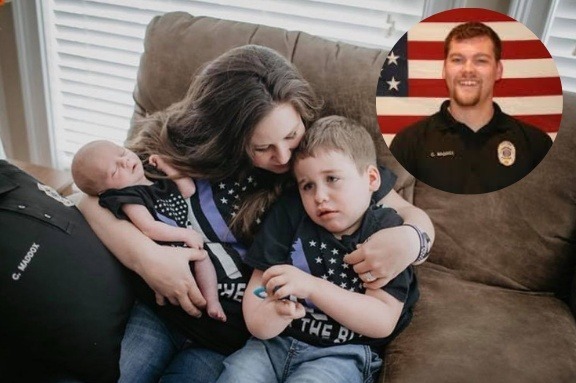 Last year tragedy struck the Locust Grove community when Officer Maddox was killed in the line of duty while assisting two Henry County deputies issue a failure to appear warrant. Officer Maddox, a McDonough native, was a veteran of the National Guard. Just four days after the fatal incident, his widow, Alex Maddox, gave birth to the couple's second son, Bodie. The couple’s oldest son, Bradin, has cerebral palsy and his mobility is very limited. Continuing their mission to build hope in the South Atlanta Metro area, Southern Crescent Habitat for Humanity will partner with Team Depot to construct an accessibility ramp for Bradin. 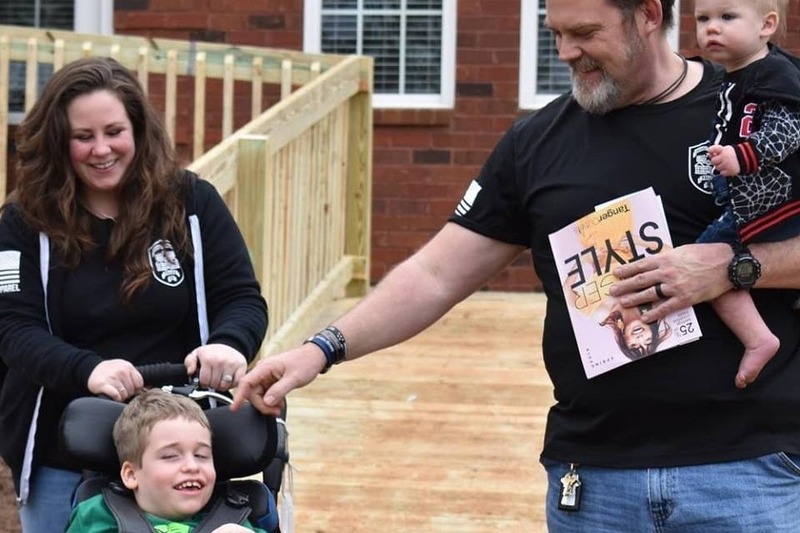 Building the ramp is the first step in Southern Crescent’s extensive plan to make the Maddox home accessible for Bradin and those who care for him. Some of the plans include: building 2 ramps, widening doorways, and renovating the bathroom to make it wheelchair accessible. Want to join me in making a difference? Southern Crescent Habitat for Humanity is rallying community support to complete other renovations in the home and any donation will help make an impact. Thanks in advance for your contribution to this cause and other families in need. About Southern Crescent Habitat for Humanity (Southern Crescent Hfh): Seeking to put God’s love into action, Southern Crescent Habitat for Humanity brings people together to build homes, communities, and hope. As a nonprofit housing ministry, SCHFH works with volunteers dedicated to providing low to moderate income families an opportunity to become successful homeowners through a comprehensive program of homeowner education and support, interest-free mortgage lending, and volunteer-driven home construction and rehabilitation. Southern Crescent Habitat for Humanity completed the first step in the Maddox project by building an accessibility ramp on March 15, 2019.